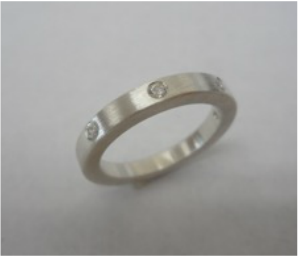 We'll size a sterling silver band to fit, then flush set up to three round cubic zirconia into the ring. Students will leave with a finished ring. Students should be familiar with soldering and have experience with the flex shaft.